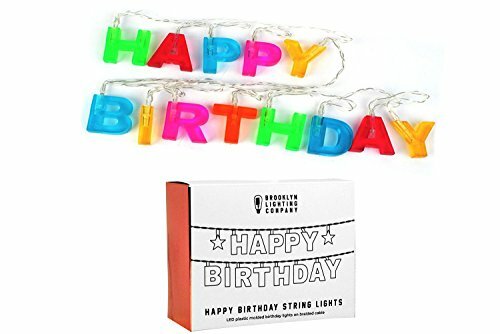 These multi-colored H-A-P-P-Y-B-I-R-T-H-D-A-Y letter-shaped string lights will brighten up any room or space in your home or apartment with their 13 warm LED lights. You can hang them or drape them anywhere you like to showcase your style. Use them on furniture, window sills, balconies, railings and more. If you have any questions about this product by Brooklyn Lighting Company, contact us by completing and submitting the form below. If you are looking for a specif part number, please include it with your message.